Good condition. There are minor signs of wear. MicroSD card reader. 10 point multi-touch display. Tablet was fully tested and works as intended. Tablet only. 9/27/18 (14) SIC10969. This has been tested and it is in good working order. Item is in good physical condition as pictured. Includes only what is pictured. No data cable or AC adapter. Tested for full functionality. R2/ Ready for Reuse. Model Iconia One 8. Wi-Fi: a/b/g/n. 17.5 WH battery. MicroSD slot. MTK MT8163 ( 1.3 Ghz, Quad-core). My wife forgot her Windows password, so you will need to do a hard reset and reload the enclosed Windows software. Note: The photos make the upper left of the screen look scratched, but it is not. This has been tested and it is in good working order. Item is in good physical condition as pictured. Unless otherwise stated, this has been tested for key functionality. Model: Iconia A1-830. Condition: This tablet is used, has been tested and is fully functional. The screen may have a sticker that is not on the displayable portion. The casing may also have a few minor scratches, dings, dents, nicks and have a sticker on the back. With the Iconia One 10, life is bright. Brighter videos inspire creativity. Up to 10-hours Battery Life. Two built-in stereo speakers. An item that has been used previously. 1 - Micro USB 2.0 Port. Black Acer Iconia One 7 B1-730 7" 8GB Dual-Core Android Wi-Fi Only. Very good condition. No scratches on screen. Small mark on bezel as seen in the 5th photo. I will factory reset Condition is Used. Shipped with USPS Priority Mail. 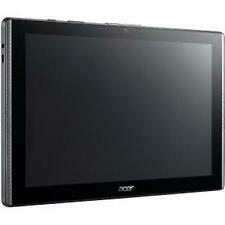 Acer Iconia Tab 10 A3-A50_2Ckk_3L64T / A7003. Manufacturer Acer. Android 7.0. Hard Drive. Other accessories are NOT included. Technical Specifications. 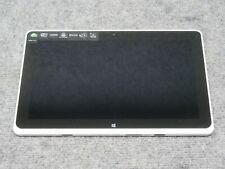 In great working condition (like new), 32GB, 10.1", 4G enabled Tablet. Iconia One 10 B3-A50-K4TY Tablet. Form Factor: Slate. TV Card: No. Depth: 10". AC Adapter. Wireless LAN Model: MT6630. Weight (Approximate): 1.21 lb. Wireless LAN: Yes. Make: Acer. Check with the manufacturer for more warranty information. A black/red tablet sleeve is included as you can see in the picture. This would make an excellent tablet for a child, college student, or really anyone! Graphics Card Ram Size64 MB. Processor Count2. Processor Type: Cortex A35. ICONIA B3-A40-K6JH Tablet. Display Screen Type: Active Matrix TFT Color LCD. Form Factor: Slate. TV Card: No. AC Adapter. Mfr Part #: NTLDNAA002. Weight (Approximate): 1.17 lb. New ListingAcer Iconia Tab A500 16GB Wi-Fi, 10.1in Android Tablet In Box, Complete! Up for sale is an Acer Iconia Tab, model A500. Specs can be seen in the pictures. It is used but was well taken care of. It is in nice, clean condition. It has been tested and is fully functional. 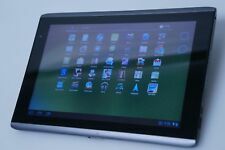 Acer Iconia Tab 8 A1-840 16GB, Wi-Fi, 8in - White Fast Shipping! Condition is Used but in excellent shape. 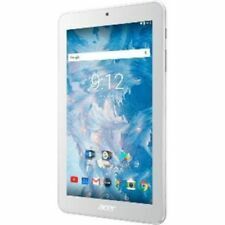 5 out of 5 stars - Acer Iconia Tab 8 A1-840 16GB, Wi-Fi, 8in - White Fast Shipping! 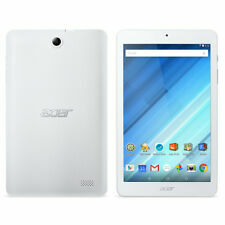 6 product ratings6 product ratings - Acer Iconia Tab 8 A1-840 16GB, Wi-Fi, 8in - White Fast Shipping! Android OS. SD Card Slot. Sale brought to you by Abba Tech Solutions, where Tech costs less. 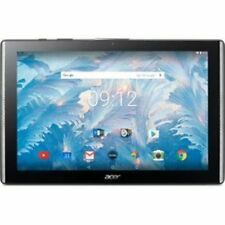 More Product Information for the Acer Iconia One B1-7A0-K92M 7" Cortex A35 MT8167B 1GB RAM Android Tablet. Processor Model: MT8167B. With a bigger-than-phablet display that is both clear and colorful, you get speedy response and hours of battery life to keep things going. 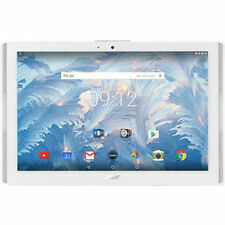 Acer B3-A30 Iconia 16GB, 10.1" Multi-touch Tablet Android 6.0 White Case Cover. SHOWS LIGHT SIGNS OF USE. ITEM WORKS PERFECTLY. All standard accessories included. It would be very much appreciated. Acer Iconia Tab A500 16GB Wi-Fi, 10.1in Android Tablet In Box, Complete!